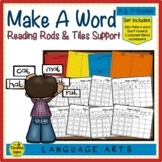 Phonics Pack 5 McGraw-Hill Reading Wonders Kindergarten Phonics Supplement Letters (j, q, v, x, y, z) This is a pack of 15 phonics activities, 35 worksheets, and 2 games to supplement the McGraw-Hill Reading Wonders Kindergarten Series. 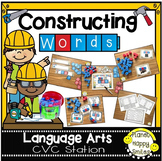 The 6 letters included in this pack are j, q, v, x, y, and z. 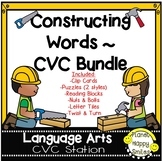 Your students will have fun and reinforce their phonics skills with this CVC Bundle! 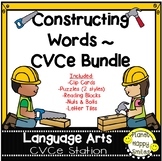 They will LOVE building words with all the files in this bundle! 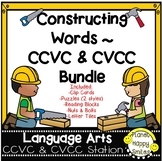 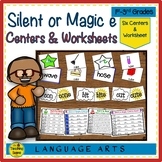 ✱This bundle includes files to use with several different manipulatives like Twist and Turn, Nuts and Bolts, 1" Letter Tiles, and Reading Blocks. 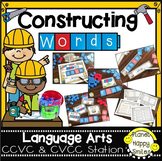 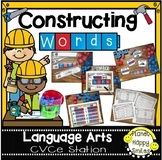 Building Words: CVCe Edition - Interactive and FUN Spelling Center.